Home / iPod or DJ? With most Rochester weddings, you tend to find many clients asking similar questions when it comes down to planning and getting everything they want for their big day. They seek out advice and ask other brides what they should do or how things should go. A question that we see now and then from newly engaged brides-to-be, is if they should have an iPod or a DJ at their wedding. They are looking to either do a DIY reception or save some money and pinch pennies to assure they can have the wedding of their dreams without spending a small fortune. Look, we get it….weddings are expensive. Whether or not you plan to cut corners or try and do it all as a DIY reception, you’re still spending quite a bit. Venue, food, décor, flowers….it all adds up. But one thing we always try and recommend to brides is you should invest in good, high quality entertainment. If you’re asking yourself if you should have an iPod or DJ at your reception, some of these tips might help you with your decision. Trying to decide if you want an iPod or DJ? Read through our tips and advice here to help you with your decision. 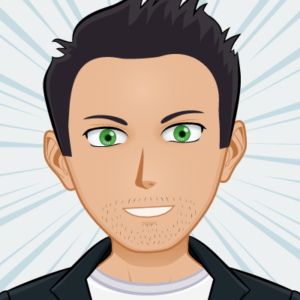 First, Why Hire A Professional DJ? People love music. It can be a very powerful thing, and of course it has the ability to bring all types of emotions. Playing the top hits from your phone or an iPod will never match up to the kind of mood that a professional Rochester wedding DJ can create at the event. But, a professional can do so much more than just play music. Different events call for different types of music. Your Corporate guests aren’t likely to enjoy the same music played at a Birthday Bash, Sweet 16, Fashion Event, Pool Party, School Reunion, or Graduation Party. Weddings call for romantic songs that create the mood where two hearts meet to become one. A professional DJ carefully plans the music at an event and adds to its grandeur. A professional wedding DJ knows the right time to slow things down and create an heartfelt moment for your guests. You think you have got the latest and best songs in your collection, right? How many do you have? 500? 1000? Well, that’s not enough when you have people with different tastes attending your event. A professional DJ can bring in as much as a 200,000+ song library, and that would cater to every taste. If someone among your guests gives a request for a song that’s not in the library, a professional DJ can log into one of their professional music pools and download requested songs in order to keep your guests entertained. SIDE NOTE: Professional DJ’s never stream off of Youtube or other music services. There’s a whole bunch of issues that can happen with this, but we’ll discuss that another day. Bottom line, professional wedding DJ’s have a solid library of good quality music and only download full music tracks in a pinch. As far as the “cheesy” thing goes, this is another great case for spending the extra money to get exactly what you want. I have to admit though that using an iPod at your wedding is better than having a really bad DJ. There have been endless amounts of bad reviews where a DJ has ruined a wedding or event due to unprofessionalism. The remedy to this is to not only do your research but then to hire a good DJ, not cut out the DJ entirely! It may take a little work finding the right DJ for you, but you can find a DJ that matches the style you’re looking for. The single biggest drawback to not using a professional wedding DJ is the lack of a polished, capable emcee for the evening. Does your fiancé’s college buddy or your uncle or best friend from high school have the right balance of intuition and experience to make smooth transitions between the various formalities at your wedding? Do they possess the attention to detail and quick thinking to smooth over an awkward moment by gracefully diverting your guests’ attention to something else? I can tell you that it takes a lot of experience and hundreds of performances to acquire the confidence and competence to deliver flawless emcee work at a wedding, and chances are that your friend doesn’t have this skill set if you’re thinking about having an iPod with someone you know announce different parts of the evening. A great DJ can invoke so many great emotions between your guests, that an iPod can not do. Even the best plans sometimes fail miserably. 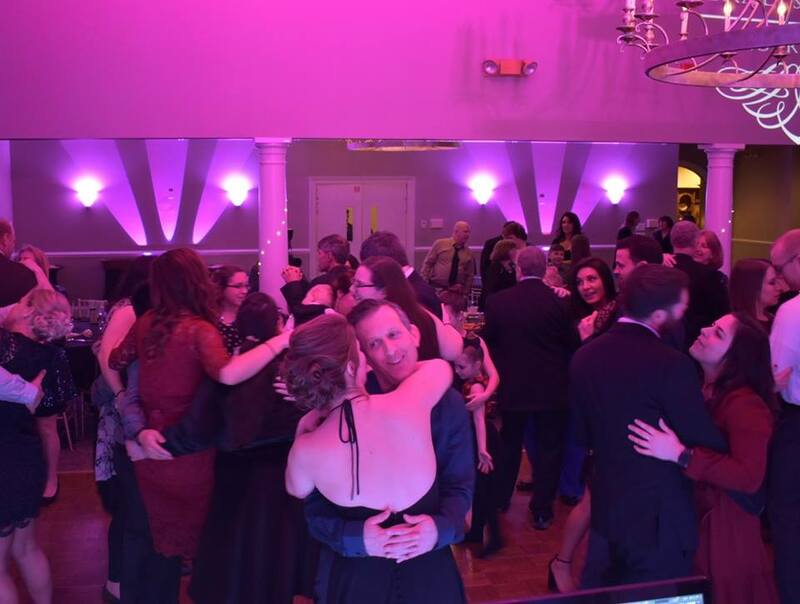 Many professional DJs in Rochester will tell you they have had clients over the years that they thought they knew their guests well enough to pick every single song for the evening, in order, and have the dance floor packed all night. Very rarely would they have been correct. An experienced professional has the ability to “read the crowd,” to sense when it’s beneficial to extend a particular set or to put on a slow song to get the rest of your guests involved. This sense of the “flow” of the evening only comes with the knowledge gained from performing at hundreds of weddings, and is something that would be completely absent if you chose to use an iPod instead of a professional Rochester DJ. Also, even a music expert can’t always predict in advance which songs your guests will respond favorably to, and the last thing you want to do is break up a full dance floor with an ill-timed slow song (or empty a dance floor filled with happy couples by throwing on a party song at the wrong moment). One point I think most couples overlook when considering to use an iPod for their wedding is their access (or lack thereof) to radio-edited versions of popular songs. Online music sources sometimes offer these versions, but not always. The majority of professional DJs subscribe to one or many music update services that gives them access to all of the new music about to come out on the radio, fully edited just like the versions you hear on your way home from work. These subscription services are only available to professional DJs, and sometimes there can be a lengthy process by which one has to prove they are a legitimate DJ and should be given access to promotional copies of music. Is your grandmother going to understand when you explain that you couldn’t find a clean version of that new hip-hop song, but you still wanted to play it? 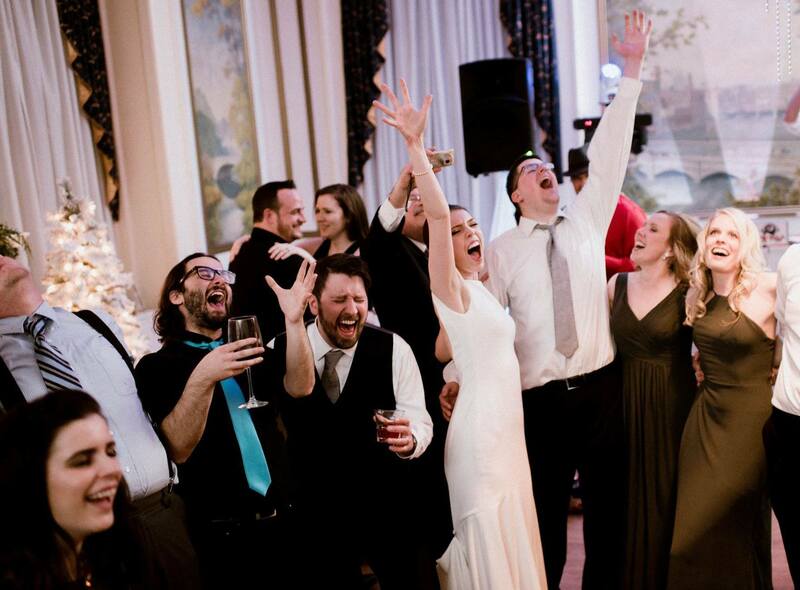 A great Rochester wedding DJ can assure your guests have a fun and memorable time all night! Part of the issue with a DIY wedding is that your guests may think they can do it too. I had one wedding planner tell me that at a recent wedding she did, the iPod DJ setup that the couple rented, created a bit of a scene when two of the groom’s friends spent the entire night arguing over what to play next. Unfortunately, it’s not uncommon where a DJ will receive a request (or multiple requests) from a guest that you know will clear the dance floor and it’s something that should NOT be played. In this case, you need someone to tell those guests no or find a happy medium for everyone involved. With an iPod, you’ll most likely have a drunk guest that will end up looking through your iPod (or brings his own) until they find the worst song possible and places that song in the worst spot possible (i.e. 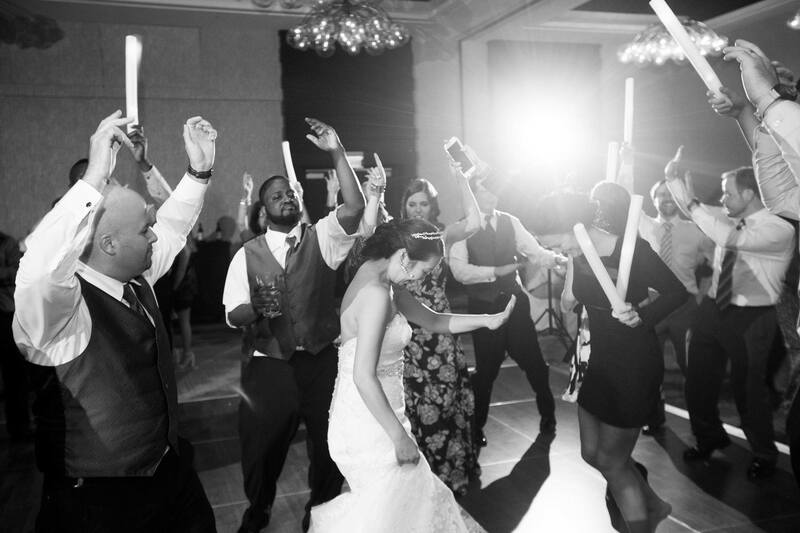 2 Live Crew – Pop That, right after the Bride & Father dance), because there is nobody there to tell them no. Plus, they will probably find a way to mess things up and you’ll be the one over at the iPod table trying to resurrect your playlist instead of enjoying your reception. Would Anyone Care for a Lawsuit? 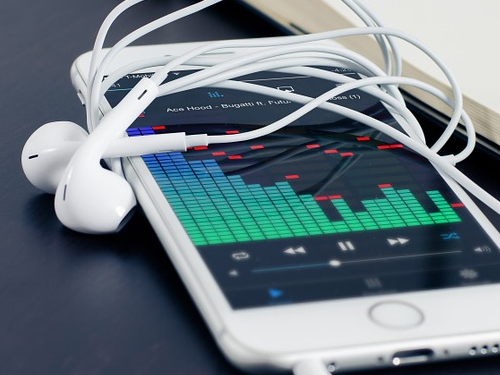 Another factor to consider when making this decision is liability – you may actually be exposing yourself to a lawsuit by using an iPod and a rented sound system. A professional DJ will carry liability insurance that covers him in case one of his speakers falls over and injures someone, or his equipment starts an electrical fire and burns your reception site to the ground. Since you are the one putting the speakers there, and you are the one responsible for the equipment, you are the one who is going to be sued if anything happens. You could purchase liability insurance for one day to make sure you are covered, but is it really worth the trouble or extra cost? Even the best equipment will fail at some point, and it’s impossible for you to tell if the sound system you’ve rented has been properly cared for and maintained. If a piece of equipment on your rented system blows out, do you know how to work around it? Do any of your guests? A professional Rochester wedding DJ will have the equipment knowledge to quickly solve any malfunction, or will have backup equipment with him just in case something can’t be fixed. If you don’t feel comfortable troubleshooting professional audio gear and renting a full backup sound system, you may be left without the music on which you’ve been so focused on. None of your guests will remember their meal (unless it’s really bad), your centerpieces, your chairs, your favors, your invitations, your cake, or your bouquet. They certainly won’t remember your wedding pictures or video, because chances are, they will never see them or maybe just see them once if you decide to post it all to social media. What they will remember is if they had a good time. This, to me, makes the case for spending more money on entertainment. So, in conclusion, should you go with an iPod or a DJ? My advice is to seek the services of an experienced professional, one that shares your views and will honor your requests. Even if you have very specific music tastes and want to control what is and isn’t played at your wedding, a professional DJ can honor your requests and still keep it a fun and memorable time. Your guests will thank you, and you will be able to enjoy your wedding reception in the care of someone you trust. Like what you saw here about choosing either an iPod or DJ? Want to learn more about how Kalifornia Entertainment is the absolute best and #1 choice for your event? Fill out this form with your details and we’ll get back to you right away with more information!